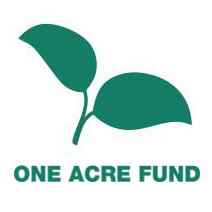 JOB DESCRIPTION: One Acre Fund supplies smallholder farmers with the financing and training they need to grow their way out of hunger and poverty. Instead of giving handouts, we invest in farmers to generate a permanent gain in farm income. We supply a complete service bundle of seeds and fertilizer, financing and training — and we deliver these services within walking distance of the farmers we serve. Our approach has won widespread validation, winning grants from the highly competitive Echoing Green and Skoll Foundations, and the global Financial Times/ IFC award for “basic needs financing” in 2010 and 2011. The Tanzania program is currently transitioning from a start-up environment to a more mature operation. In our 6th year of operations, we are serving 50,000 farm families with our Core Program, employing more than 400 full-time staff. In three more years, we aim to more than double in size and add several new regions – striving to create >15 million $ of Impact for our clients by end of 2020. • The Deputy Country Director (“DCD”) is the co-leader of One Acre Fund Tanzania. Whilst you do formally report into the Country Director (“CD”), we envision you to be a true partner who works hand in hand with the CD through strategy and vision and you feel a strong ownership of our program impact and results across all areas of operations. • By constantly identifying and prioritizing opportunities for program improvement and by providing constructive feedback, you push the entire team including the CD to dream bigger, execute better and maximize our Social Return on Investments (“SROI”). • You are proactively stepping up to fill critical leadership needs and you represent country leadership in a variety of settings ranging from being the ‘The Leader in Front of the Room’ to representing our organizational both externally and internationally. • Together with country leadership and key deputies, you set and steer the course for One Acre Fund Tanzania 5 Year Plan aiming to maximize the long term impact we can create for farmers all over Tanzania – whilst minimizing our net deficit. • Together with key leaders, you continue to build up our Steering Committee to become a transparent and efficient decision making body of the organization, which is focused on setting high level annual goals as well as creating long-term strategy. • You and the CD manage the country together and your role will evolve over time depending on internal and external conditions – the CD and DCD are expected ‘to get done what needs to be done’ in order to drive farmer impact and team satisfaction. • In 2018, our Field Program was faced with multiple challenges leading us to significantly miss our enrollment, repayment and impact targets. Therefore – your first priority as you join our team, is to lead our Field Team back to fantastic results. • You are expected to quickly build an understanding of our client, staff and program needs. By leveraging your excellent project and people management skills – as well as your ability to prioritize the most impactful work – you will drive us towards better and simpler strategies, that are executed with excellence. In addition, you will help focus our “innovative DNA” towards a few program trials that have the potential to truly make a step change in our future impact trajectory and SROI. • Lead Field Program Design/Strategy which includes, but is not limited to, coaching your team to create simple yet powerful impact, repayment, marketing and expansion strategies, tools and trainings informed by thorough data analysis and cross division/country insights. • Lead Field Operations to excellent execution and use of these new set of strategies, tools and trainings by improved field meeting efficacy/quality, Field Team Management Systems, a strong focus on staff development at all levels and through building a strong Field Team culture. • Lead Program Innovation which may include trialling radical ideas around program design, the use of technology and/or lead us towards a closer integration with our Impact Venture team’s operations in Tanzania. • In addition, you will work with all our teams to improve our country calendar as well as our existing communication structures and venues to facilitate operability and the culture of an increasingly disparate team across a large country operation. • As the DCD, via your direct reports you oversee the careers of 400+ of our staff. We expect you to establish and cultivate strong relationships with your staff to ensure that all staff on your teams can maximize their career performance and job satisfaction as part of the One Acre Fund team. • You’ll ensure that everyone—from your direct reports to the newest Field Officer in our program—is continually mentored, challenged, and supported by the organization. This can include, but is not limited to, regular performance reviews, active development/promotion plans and weekly check-ins providing actionable and constructive feedback. • Field staff performance is a top priority and you will foster collaboration between your team and the People Division in order to explore powerful strategies to create a step change in our field staff’s performance – striving towards an ‘excellent customer experience’ for our farmers as well as building a strong culture of Wakulima Kwanza (Farmers First!) within the Field Ops Team. • You will take responsibility to drive towards our Diversity & Inclusion targets by ruthlessly focusing on hiring talent from Tanzania and developing talent into our senior management positions – including bringing up your own successor! • You will work closely with the CD and People Lead to build One Acre Fund into the employer of choice for top Tanzanian talent. • You’re a thought partner to the CD on the TZ team structure. Together you critically evaluate our staffing structure in the light of country priorities so that we always solve for the most important challenges and opportunities that OAF-T is faced with. You are a talented professional with solid experience in leading large teams and executing at scale. Most importantly, you can paint the picture of a compelling vision for our team, you have strategic thinking skills as well as enjoy problem-solving and working in a fast-paced and high-stakes environment. In addition, you have a solid track record of fostering professional growth in others. • International development/NGO/Agricultural work – preferably in East Africa. • Private sector business, start-up or government work in a developing country.